Located just hours away from Pune, the Hilton Shillim Estate Retreat and Spa is the perfect combination of luxury and relaxation for your next weekend getaway. 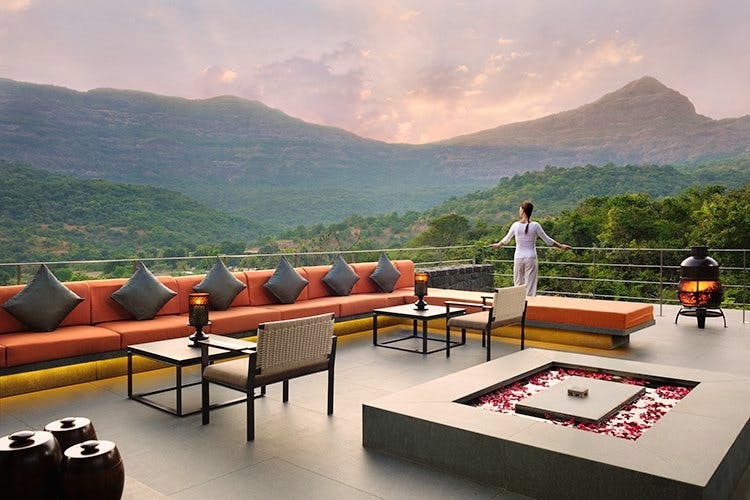 The unique spa is nestled in the Sahyadri mountain range, and is spread across 70 acres. The spa zone is centred on the area of the resort which has a high concentration of underground crystals. They have 17 therapy rooms, with over a hundred treatments available. On the accommodation side of things, we can choose from 99 villas, 15 of which have private pools attached. Each villa includes butler treatment. The resort also has amenities for bicycling, a hiking trail, a jogging track, a meditation cave, a swimming pool, a walking track and a yoga pavilion. Continuing the health theme, all the food available here is organic, and all the ingredients are sourced from local farms. Guests can choose from French, Mediterranean and Asian food. End your evening with a night at the Clubhouse, which includes an outdoor deck for cigar-smokers. The property might be worth checking out if you’re looking to just relax and pamper yourselves with greenery and luxury.